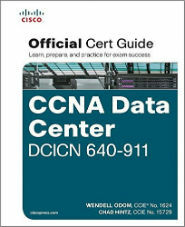 Introducing Cisco Data Center Networking (DCICN) helps prepares the learner for a CCNA Data Center exam certification. It covers the Cisco Data Center networking components and technologies. This exam tests a candidate’s knowledge of networking concepts for the Data Center environment, based on Nexus-OS. You will learn fundamental information on how a Data center network works, how to configure virtualization in the network, addressing schemes, troubleshooting and configuration skills. Candidates can prepare for this exam by taking the course DCICN, Introducing Cisco Data center Networking. What is included with the Introducing Cisco Data Center Networking Course?